...With only using odd combo, odd troops, Charlemagne and Rurik, and only using Conrad once and Martel twice. 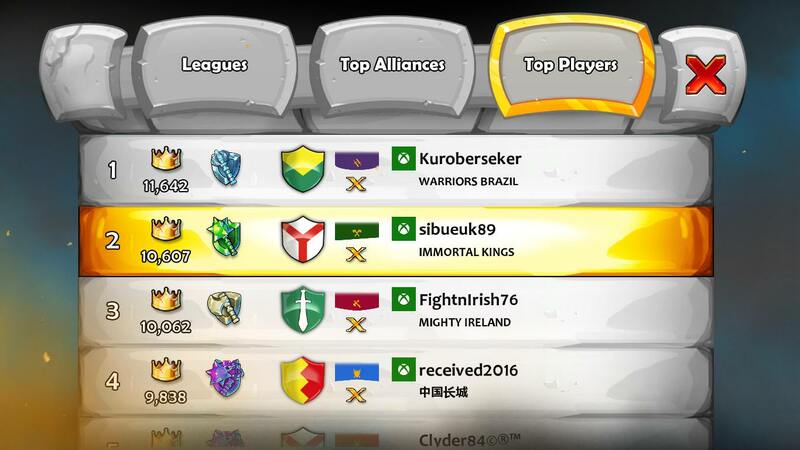 Congrats @Bueuk, you did awesome effort, it was a pleasure played with you last league, I can see my name in number 5 by the way, congrats again brother hope we can meet somewhere again. You too, Clyde. I can't make it happen without you, @RuffRotations, and @dymon. Should I post the Choo-choo trio too? Weren't there 4 of us? Sibuk, it was my pleasure to get to know you as a good friend and a *** of a sieger. I'm almost a little sad, that our paths crossed only now. At least they did. Hope you don't retire now. In the words of @blinsas: Siege on! No way, I forgot to screenshot that moment! I'll ask Sanja about it. She has plenty, I guess. It's nice to know you too, Ruff. I pumped up after watching all of you on Top 50 LB. Good to hear that. Let's see where the next round will take place. Had a great time with all of you...we gave it our best shot. I learned a lot, even this late in the game, from a great bunch of people. It was awesome seeing five different folks at the top of the leaderboard, and so many times in the top 10. Like many of you, I really enjoy playing this game and am sad to see it and many of you go. It's been a great experience. The highest i ever got which was a month or two ago was Top 25 on LB with age 9. Trying to insert a screenshot but not able to...Let's hope for a miracle in 2019.